The learning situations of the future will change. In an imaginary future tablet computers would replace writing pads. Students would participate in the design of the lesson and pass on self-acquired knowledge to their classmates. They would be supported by two teachers per class who would adapt the learning methods to the individual needs of the students. 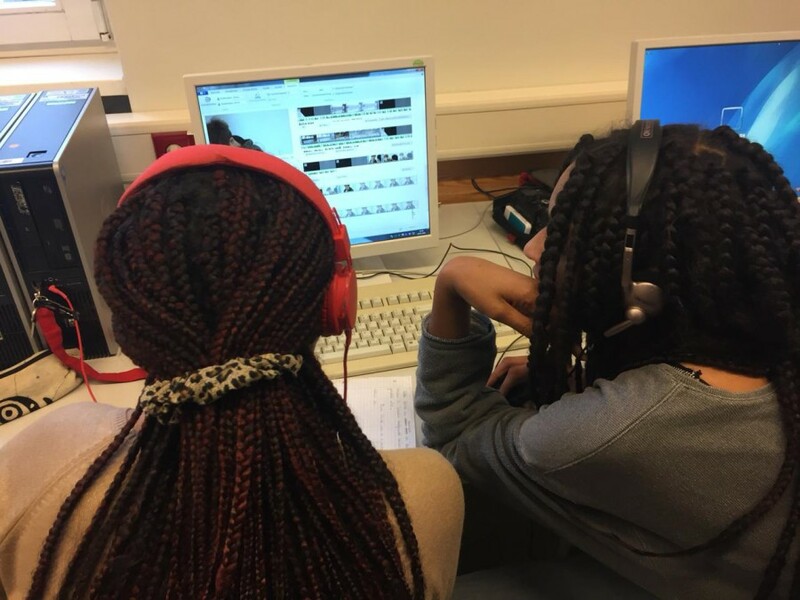 In short documentary films students of the Sophie Scholl Schule explored these and other questions from behind and in front of the camera: What makes a good lesson? Will the school of the future only take place at home, in front of the computer? Should lessons devote more time to current world events? How can sustainability be thematized in the school? What can be done to promote more equality and how can it be ensured that everyone feels comfortable in the school, irrespective of gender identity, appearance, or social and cultural origin? The Sophie Scholl Schule in the Schöneberg district of Berlin is an integrated secondary school with an upper grammar school. The all-day school accepts students with the educational assessment grammar school/secondary school and secondary school as well as students with special educational needs. The language of instruction in the classes of the Staatlichen Europa-Schule Berlin (SESB) is German and French. With the teacher Sophie Otten-Kukuk. Katja Berls studied directing at the FilmArche Berlin, after completing her studies in media culture at the University of Hamburg. She is specialized in the field of documentary film with a focus on social themes. She has produced, amongst other things, TV features for the Kurzschluss program on the Arte channel, and in addition to her own film productions has worked as a co-director, assistant director, production assistant, and production manager for diverse TV and cinema documentaries and feature films. In addition to her activities as a film maker, since 2010 she has regularly held film and photo workshops, amongst others for C/O Berlin, exhibition venue for photography and visual media. She is currently working as communication manager and festival distributor for the film festival agency Aug&Ohr.